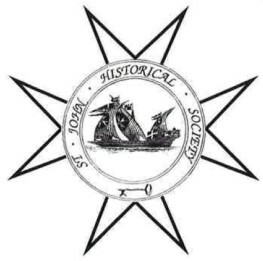 The St John Historical Society was founded in 1981 to study the history of the Order of St John and related topics. The St John Historical Society holds monthly meetings usually at St John’s Gate. Annual Proceedings are published, so that members who are unable to attend meetings may have the information given in the lectures. A news-sheet of general interest is circulated to members several times each year. Guests are welcome to attend their first lecture on a drop-in basis. Subsequently, we invite you to become a member of the Society. If joining after June, pay half annual rate. Membership forms can be obtained at St John’s Gate or download our application for membership form. In addition to herbal and zoological materials, apothecaries and medics employed a wide range of geological materials from classical times to the mid-eighteenth century. This lecture will focus on geological ingredients collected and exported from Malta, and will consider how a well-stocked geological collection was deemed useful against all sorts of infections, parasites, poisons and diseases. Alastair is the Royal, Religious and National Events Commentator for Sky News. He serves as a Royal Herald at the College of Arms and has held the position of Fitzalan Pursuivant since 1998. Alastair explores the important role of the royals in the modern Order. Pádraig is Archives Manager of St John Ambulance National Headquarters in Dublin. His talk will cover a period from the formation of the Brigade at the Guinness Brewery in Dublin, through to the visit of King George V in 1911 and the Irish contribution to WWI (including the Hospital at Étaples), the turbulent period of the Easter Rising through to the visit of Edwina Mountbatten, and the St John Ambulance Brigade of Ireland Jubilee in 1954. This will be an account of the direct experience of two members from the same family who gave service as Volunteers to an aspect of the Order’s history which tends to be overlooked. The St John Ambulance Air Wing was responsible for the transportation of human organs for transplant surgery. This was a pioneering initiative that contributed to saving many lives. Learn about this aspect of our history from the people who were directly involved. WALKING TOUR: Roses round the Door! Meet at the West entrance of St Paul’s Cathedral. Finish in the vicinity of the Priory of St John. We are fast approaching the 550th anniversary of the Battle of Barnet. In 1471 the Priory and Order were at the heart of the transformative events of the ‘War of the Roses’. 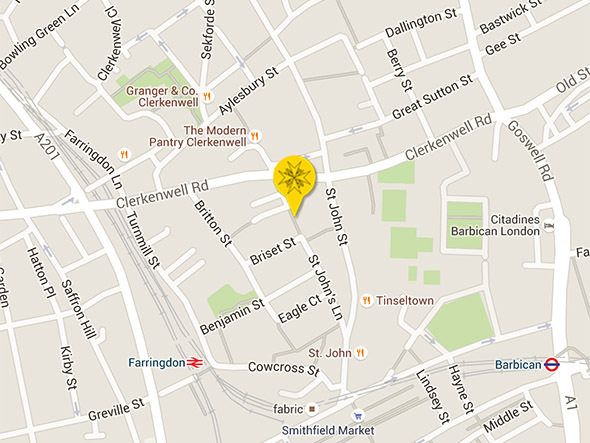 The Walk will explore critical moments in the march to battle and the significance of the Priory at Clerkenwell. St John Ambulance established first aid huts and posts on the roads and at the seaside, and the counties south of London were particularly busy areas for accidents. This presentation will explore the role of first aiders in the period before the NHS, and will bring some of the skills they performed to life with re-enactments. (Rosemary and Barry have been supported by the Arts and Humanities Research Council for their research on the history of first aid in Britain and France between 1909 and 1989). Professor Nicholson is an internationally renowned authority on the history of the Order. Helen will focus on two particular sources: the report produced by Grand Prior Philip de Thame on papal instructions in 1338 and sent to Grand Master Hélion de Villeneuve on Rhodes, and Brother John Stillingflete’s list of properties and patrons from 1434. The talk will be about what these records tell us about the Hospitallers’ relations with their patrons and their spiritual and charitable contribution to medieval society. Michael is the author of The Knights Hospitaller in Great Britain in 1540. He will talk about the survey of the Houses and Churches of the Order of St John of Jerusalem, including those earlier belonging to the Knights Templar. The Society thanks all those participating speakers for their services and would encourage them where appropriate to consider having their talk published by the Society with the speaker’s agreement. Meetings of the Society are held in the Chapter Hall at St John’s Gate unless otherwise specified.